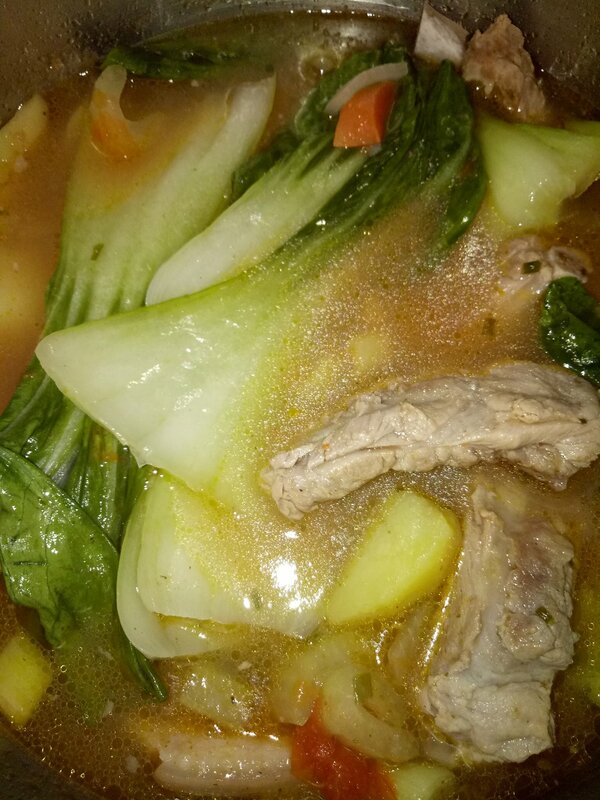 Spare ribs soup "Tinola: A Filipino Soup"
I just wanted to share this to you guys out there who love cooking like you @Michellectv. This is a Filipino dish... so easy to prepare and so yummy. This is best to prepare during winter. Boil the pork ribs until its tender. Add sayote or potatoe to the boiling ribs until it is cooked. Then add the petchay, chili leaves and spices. Steam for a little while, then add salt and a little sodium glutamate to taste.